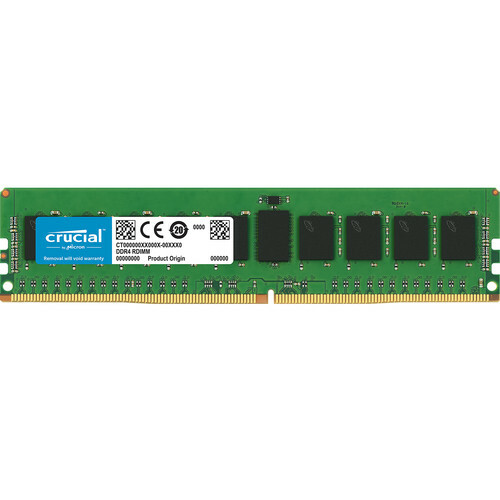 The 8GB DDR4 2666 MHz RDIMM Memory Module from Crucial is a x4-based, single-rank memory module for 288-pin DDR4 compatible systems. Moreover, it's registered, ECC, and has a CAS latency of 19. 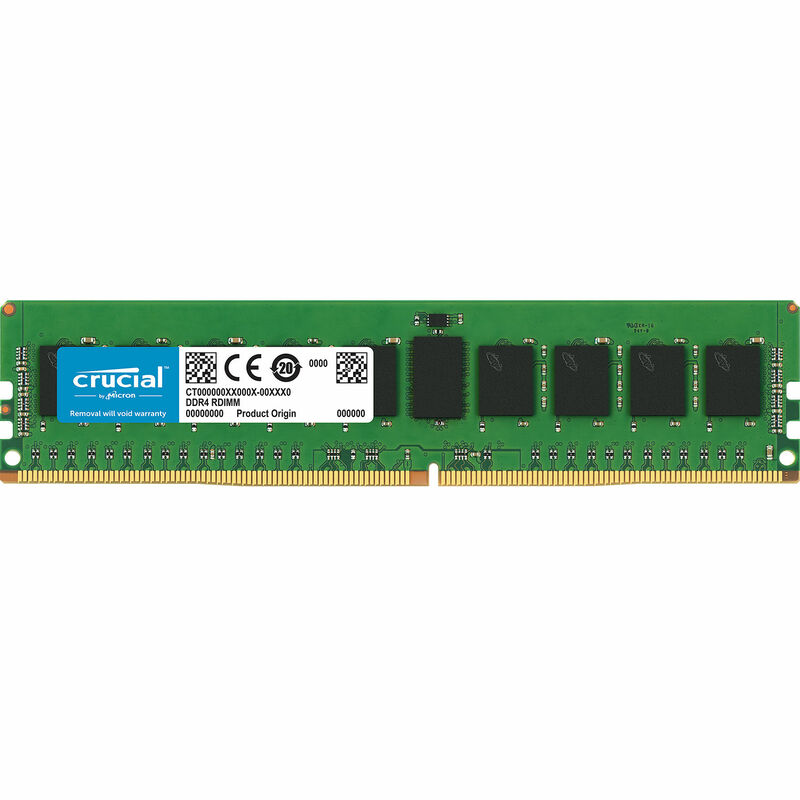 Add additional RAM to your system to increase its overall and multitasking performance. Box Dimensions (LxWxH) 6.4 x 2.0 x 0.5"